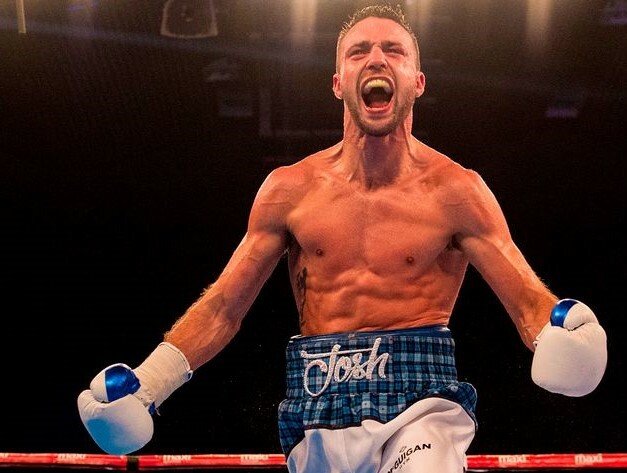 Scotland’s ‘The Tartan Tornado’ otherwise known as Josh Taylor had a perfect 2017 and remained undefeated while impressing the British public with his win over highly rated O’Hara Davies. Next up for Taylor is the highly experienced and former world champion, Mexico’s Humberto Soto. Soto has been involved in 77 fights, winning 66 fights and although he hasn’t boxed since 2016 he may prove tough opposition. “It just went from strength to strength, really. The start of the year I spent the full month in Las Vegas in the camp with Carl Frampton preparing for the second Santa Cruz fight. We were in a big house together training and living out of Shawn Porter’s gym. We had a big villa to ourselves and a swimming pool – it was amazing. Getting sparring with the likes of Shawn Porter, I did four or five sparring sessions with him and I was really holding my own with him, giving as good as I got. I was really proud of myself the way I handled myself in sparring and being part of the big occasion with Frampton and Santa Cruz. It was just absolutely unbelievable being in Vegas and part of a big show like that – it was just unbelievable. “In terms of my performance at the start of the year, it wasn’t very good. It was pretty flat, to be honest. I don’t know what happened .I think I underestimated my opponent, which is a mistake that I’ll never make again – I ended up making hard work of it. I couldn’t get myself up for the fight and when I got in there I just couldn’t pick myself up – that’s a mistake, I’ve definitely learned. Still a decent performance got the win over there, got eight rounds. I looked alright probably a 50 percent performance. From there on it went from strength to strength. “I then come back and defended my title against Warren Joubert. That was a great performance back in Meadowbank, the atmosphere was absolutely unbelievable – I stopped him in the sixth round. “Then I had two weeks in London back training for the O’Hara Davies fight. We trained for six or seven weeks for the O’Hara fight. I’d say that was probably my highlight of the year, beating O’Hara and making him quit. That was my highlight of the year and the atmosphere was unbelievable with 4,000 people going mad – it was great. “I think he’s a great fighter – I think his record speaks for itself, to be honest. He’s had 77 fights, he’s only lost six fights – his record speaks for itself. He’s been in with the best and been a two weight world champion and also interim world champion at a third weight, so his record speaks for itself. When Taylor’s opponent was announced, social media erupted and many fans posted their disappointment at the announcement of Humberto Soto. That is credit to how far Taylor has come in such a short space of time that fans want to see him in bigger and better fights. “Yes, possibly – my goal at the end of the year is to become world champion. But at the end of the day it is only my twelfth fight. I can’t be jumping in; I’ve still got a lot of learning to do at the same time. “All the other challengers like Regis Prograis, he’s got a fight lined up. Sergey Lipinets has a fight lined up; all the top opponents in the top 10-15 all had fights lined up – Soto was only the viable option. “We tried to get the Yigit fight but he really didn’t want the fight. He decided to tuck-tail and run away from the fight after we offered him it. He came back with a stupid response and he wanted three times the amount of money that we offered him. He priced himself out of the fight. It was really the only option we had and I still think it’s a great choice – I still think it’s a great learning fight. He’s got experience in abundance, two times world champion – I think it’s a great fight for me at this stage of my career.